We are facing a pandemic of ‘designed stuff’ and we have reached a contamination point, a crisis for Design. Why are we not more pertubed and disturbed, why are we so complacent and tolerant? Should we not be calling for a guerrilla war against ‘designerism’, antiviral campaigns against the design establishment or do we need a revolution to cut the ties with the hero’s of 20th Century Design? The diagnosis is not making Design better, but making Design matter! 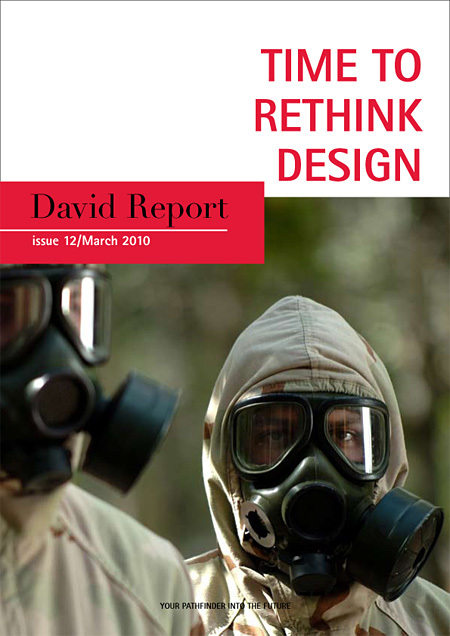 Read the whole story in the new issue of David Report called ”Time to Rethink Design”. Written by David Carlson and Brent Richards.